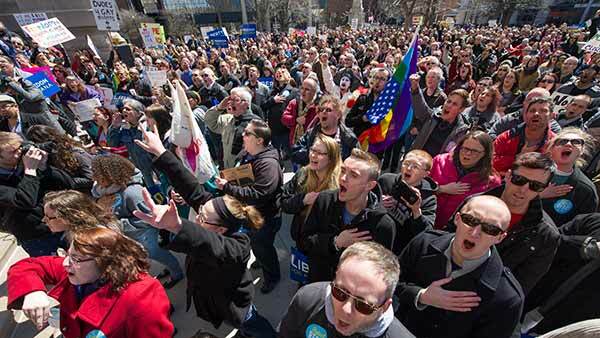 INDIANAPOLIS -- Thousands of opponents of Indiana's religious objections law, which was signed by Gov. 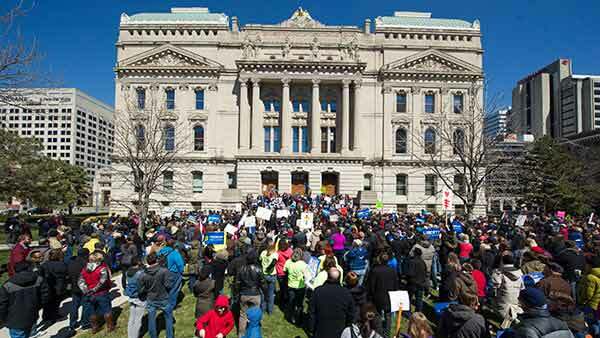 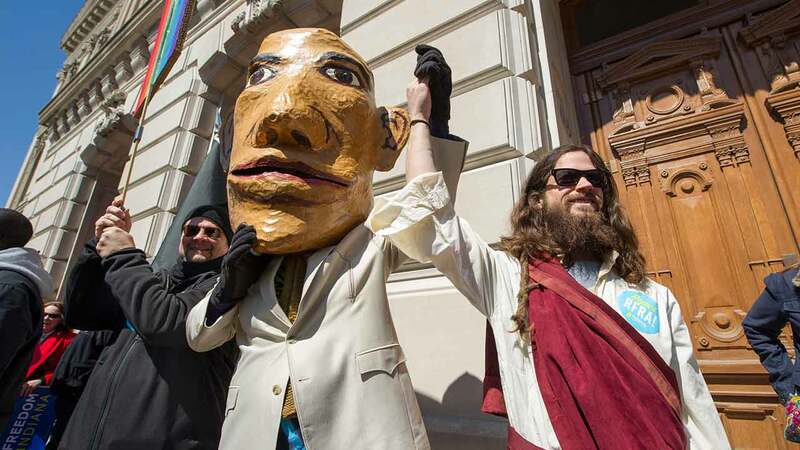 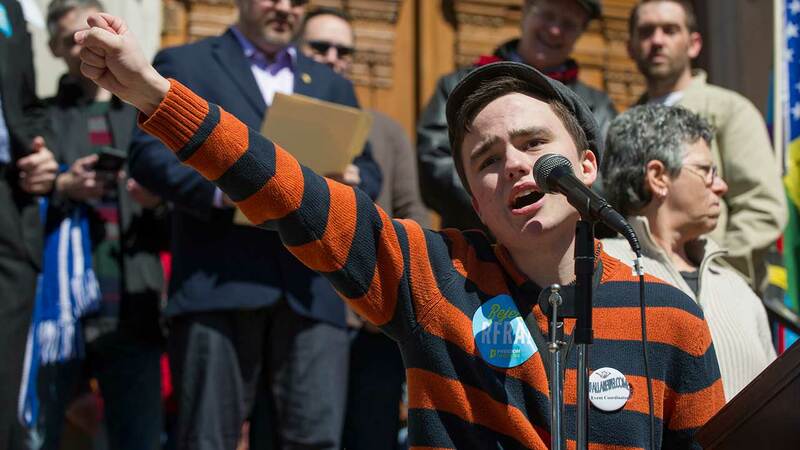 Mike Pence earlier this week, gather to protest on the front lawn of the Indiana Statehouse on March 28, 2015. 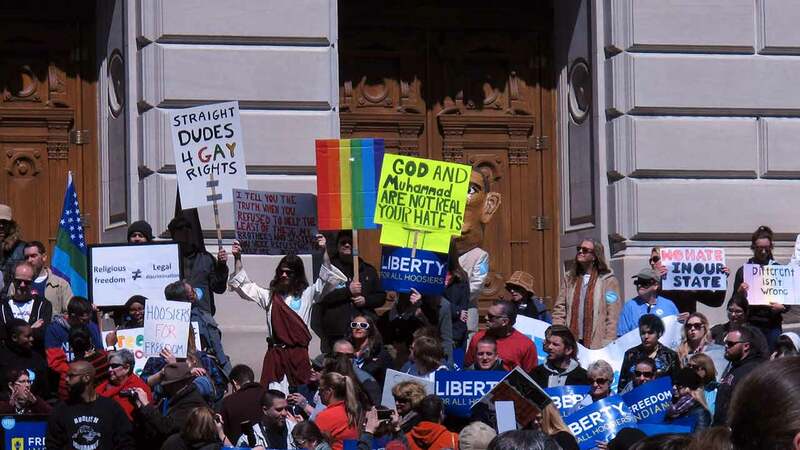 The law has attracted widespread criticism over concerns it could allow discrimination against gay people.